Do not get me wrong. Waste collection in Marlborough is OK. It is actually much better than in many neghbour towns. But... it is just used to be MUCH better one mayor ago few years ago. Especially yard waste collection. Now we have only two small "windows of opportunity" in April and November when Department of Public Works would pick up our yard waste. Leaves and debris lay on the ground for almost half a year and make out city less beautiful. But there is something worse. 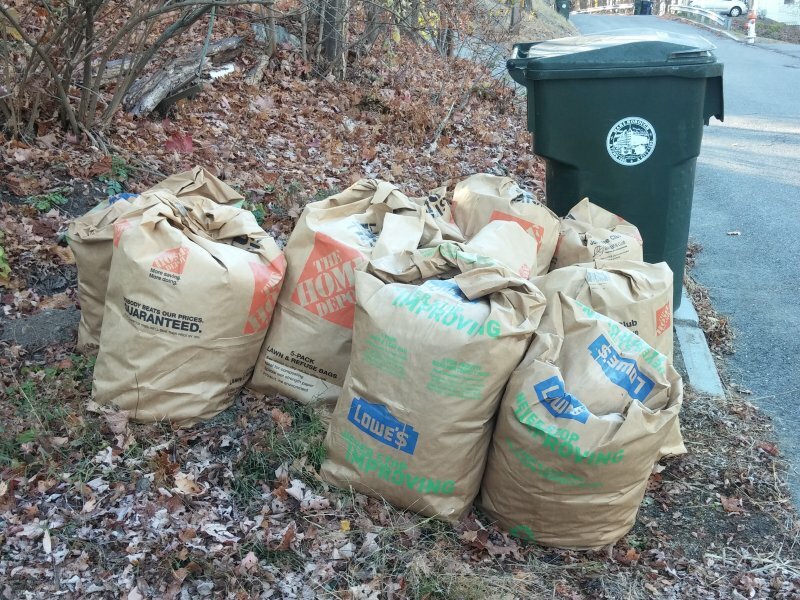 It is pretty often when Department of Public Works "forgets" to pick up yard waste. They usually just do not want to go onto small streets! This is especially bad because of these very small "windows of opportunity". Please read my story below. Good? Not so fast... The bags were not picked up yet! This story has a happy ending. Our leaves were finally collected a few days later and the ticket was closed on 11/20/2015 with apologies. And actually, this would not be a big problem if we had a bigger "window of opportunity" for yard waste collection as it was one mayor ago few years ago.